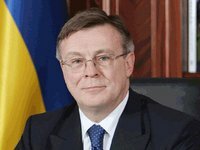 Ukraine will resume negotiations with the European Union on signing of the Association Agreement after the winter holidays, Ukrainian Foreign Minister Leonid Kozhara has said. "Two rounds of the negotiations have already been held in Brussels. As you know, the Christmas and New Year's holidays begin in Europe today, and Ukraine will resume the negotiations on this agreement after the holidays," Kozhara said at a press conference on Tuesday. He added that the text of the Association Agreement itself would not be changed, but Kyiv intended to focus on the issues related to the implementation of the agreement. According to Kozhara, the government is working to identify those parameters which could allow implementing the agreement, while preserving national interests of the country.